Fans of cheesy, old school martial arts films rejoice! A long lost cut of the Jean Claude Van Damme film Cyborg has been found and it’s available for all to see. Editor’s note: Some of you seem to have read this as it being FREE. That’s not the case. They are charging. Just like with any DVD, of course. Back in the late 80’s, Cannon Films, a now defunct distribution company, was readying itself to release two major movies, a sequel to Masters of the Universe and a live action Spider-Man. After spending a couple million dollars in pre-production on those films, they realized they had no more and had to pull the plug on both. To make up for their losses, they rushed out Cyborg. After its 24 day shoot, the director of the project, Albert Pyun, left due to disputes between him and the other parties, namely Cannon and JCVD. 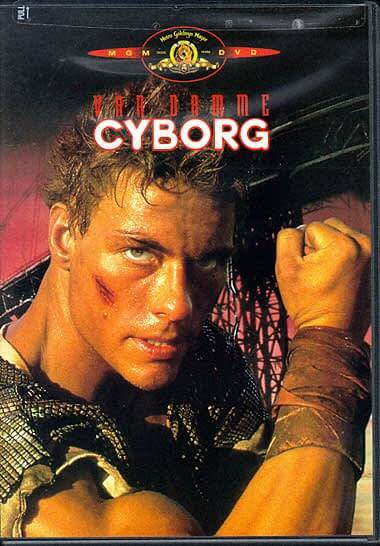 After his departure, Cyborg was cut down to get an R rating and the darker musical score by Jim Saad and Tony Riparetti was replaced by a lighter score by Kevin Bassinson. That X-rated version with the original score intact is what has just been found. Sure, it’s not exactly a treasured discovery (Metropolis this isn’t), but it’s worth checking out all the same. Pyun is making and shipping the DVD’s himself, so if you’re interested, apparently all you have to do is shoot an e-mail to curnanpictures@gmail.com to get a copy. Enjoy. Editor’s second note: Oh… now I see why you thought it was free. Ambiguous wording… Well, it’s not free. But that’s not the point. It’s a very interesting, unusual, long-lost piece of Pyun-ana. Thanks to Quiet Earth for the heads up. Two New Clips From Source Code – Kiss and What Would You Do?